It was expected to make its first public appearance at Intermot. That made sense, the show being in Cologne, Germany and all. It never did, though. For reasons they’re keeping to themselves at the moment, BMW are now going to introduce their new, camera-shy S1000RR superbike to the world at EICMA in Milan at the beginning of November. 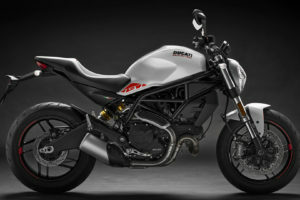 And while official details are few and far between, as you’d expect, the expectation is that the bike which once revolutionized the superbike market is about to do so again. If projections (based on a handful of old spyshots) are to be trusted, the new S1000RR will be smaller, lighter, faster and stuffed with electronic goodies. It may never reach the 2019 Kawasaki Ninja H2’s firebreathing, skin-peeling 230 horsepower but, since the current iteration pumps out 199 horses, it’s safe to say it won’t be too far behind and it won’t be slow. MCN did a breakdown of the changes to the superbike. It’s a long read because there are a lot of them. In fact, in many respects this is a new bike, not just an upgrade. They estimate that the engine, frame, suspension and bodywork are all new. Oh, and the lopsided headlights are history. They’re replaced by symmetrical LED lights. MCN snagged the CAD images submitted with BMW’s patent application, and those are the pictures we’re showing you here, so you can compare present and future for yourself. ADVRider will be at EICMA and we’ll bring you images — maybe even video — of the new bike, as well as whatever specs BMW release at that time.